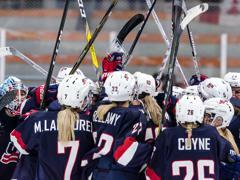 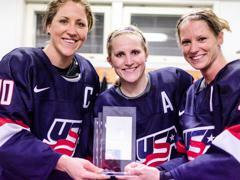 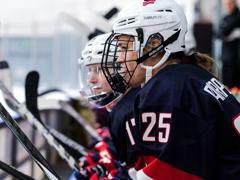 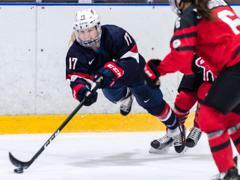 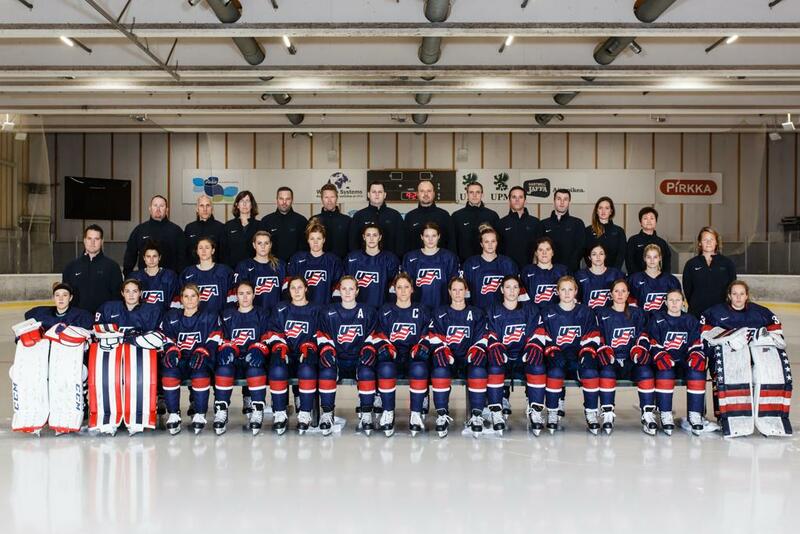 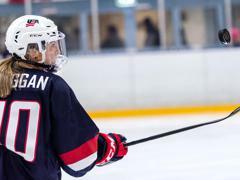 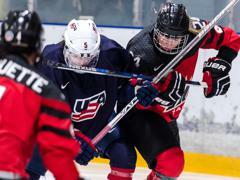 JARVENPAA, Finland – Brianna Decker (Dousman, Wis.) tallied three points (one goal, two assists) and Hilary Knight (Sun Valley, Idaho) added two goals to help the U.S. Women's National Team defeat Canada, 5-3, and claim its seventh Four Nations Cup Championship. 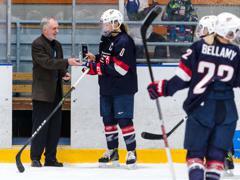 Nine players had at least one point in the victory. 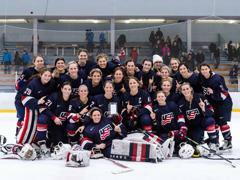 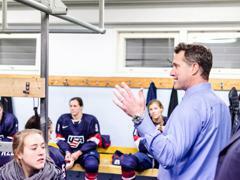 "I'm very proud of the team and their overall effort in a well-deserved victory," said Ken Klee, head coach of the U.S. Women's National Team. 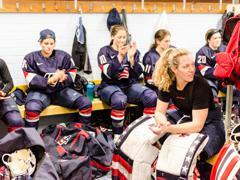 "We played a very complete game, used our speed and creativity to generate chances that we converted on when we needed to for a big win." 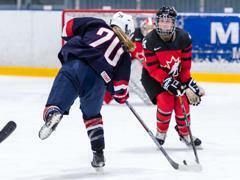 Canada opened the scoring at 3:40 of the first period to take a 1-0 lead. 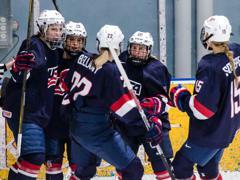 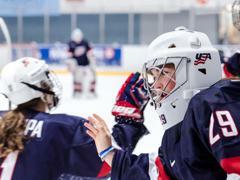 Team USA killed off three penalties in the period before tying the game, 1-1, at 16:51 on an Emily Pfalzer (Getzville, N.Y.) goal. 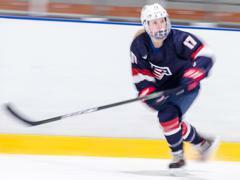 Haley Skarupa (Rockville, Md.) 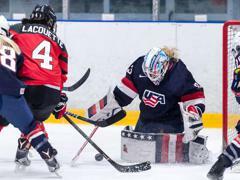 drove to the net and her initial shot was denied by Canadian goaltender Emerance Maschmeyer, but Pfalzer gathered a rebound and fired it in. 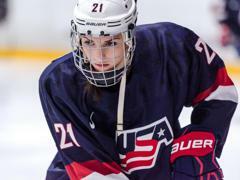 Just 1:19 later, Knight took a pass from Kendall Coyne (Palos Heights, Ill.), skated down the right side and beat the goaltender low to the far post to go up 2-1. 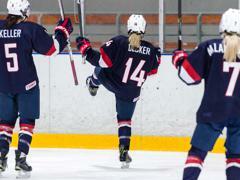 Decker earned the second assist on the play. 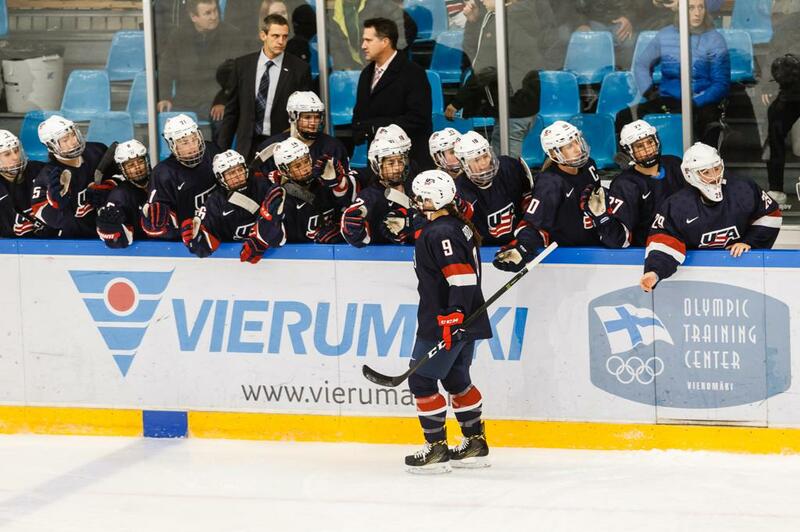 The score would stay that way entering the first intermission. 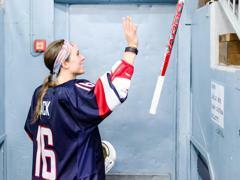 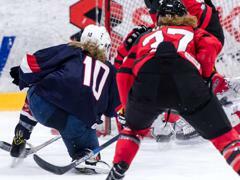 After a scoreless second period, Canada would tie the game, 2-2, at 5:50 of the third period but less than a minute later, Decker gave the U.S. a 3-2 lead with a slapshot from the top of the faceoff circles that beat the goalie glove-hand side. 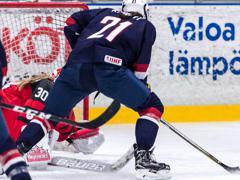 Knight would extend the lead to 4-2 at 9:46 of the final frame, picking up a loose puck on a turnover and skating in from the left boards across the crease to pull the goalie with her and put the puck past a sprawling netminder. 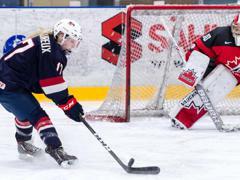 Kelli Stack (Brooklyn Heights, Ohio) added a goal at 11:47 to make it 5-2 with assists going to Jocelyne Lamoureux-Davidson (Grand Forks, N.D.) and Alex Carpenter (North Reading, Mass.). 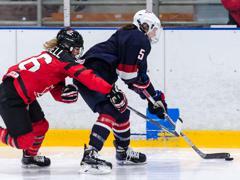 Canada would register a late goal to close the gap to 5-3, but that is how the game would end. 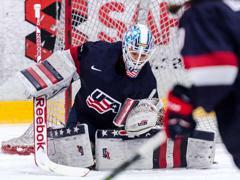 Alex Rigsby (Delafield, Wis.) finished with 13 saves for Team USA. 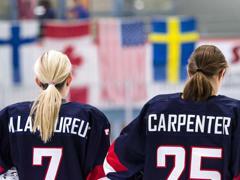 For complete game statistics, click here.